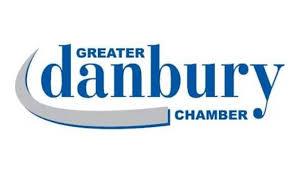 If you are planning on remodeling your home or office, or ready to start your spring cleaning, then you will need a place to put all of your trash, junk, and recyclables. Residents and businesses choose Oak Ridge Waste for their Bridgeport, CT trash company, and you should too. We are the leading waste servives providers in Bridgeport. We also offer complete waste system services. Oak Ridge Waste Systems specializes in all of the waste services needs for both commercial and homeowner purposes. Call us today to discuss your disposal needs. Bridgeport, Connecticut has a population of 144,229, and is the most populous city in the state. The city is the 48th largest urban area in the country. The land was first inhabited by the Paugussett Indian tribe, then in the 1640’s English colonists started settling in in the area taking the land from the tribe. Bridgeport has a rich heritage. The nickname for Bridgeport is “The Park City, and Philly & Boston’s Midpoint”. One of the main attractions for visitors coming to Bridgeport is the Port Jefferson Ferry. The Port Jefferson Ferry allows visitors to enjoy the view, relax, and enjoy a delicious meal. Visitors can drive, walk, and even ride a bike onto the ferry. The Port Jefferson Ferry is a great way to see the city. Bridgeport has a variety of attractions. There are museums, festivals, shopping, musical performance, and so much more. There is something for everyone in this city. The residents and business owners contact Oak Ridge Waste Systems in Bridgeport, Connecticut for all their dumpster rentals, trash services, and recycling. Oak Ridge Waste has been providing superior waste system services for Bridgeport for over ten decades, and we offer affordable prices for all of our waste system services. We are dependable, reliable, and the leaders in the waste system services. 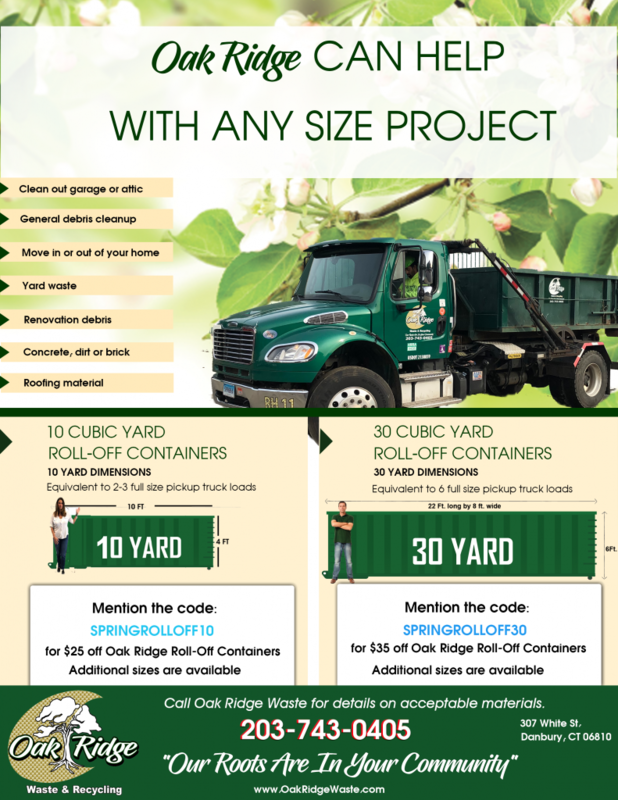 If you are planning on remodeling your home or just doing some spring cleaning, then contact Oak Ridge Waste today to have a dumpster delivered to your property. We provide professional technicians that are qualified and experienced, so our customers receive the highest quality of waste services available. A homeowner in Bridgeport recently called Oak Ridge Waste Systems. The homeowner was in the process of doing a bathroom remodeling job that involved a lot of porcelain and ceramic removal. The homeowner wanted to know if we could provide their contractor with a roll off dumpster. We let the customer know that Oak Ridge Waste Systems was able to provide a Bridgeport roll off dumpster to the construction team. We arranged a time and area on the property where the customer wanted us to deliver the dumpster. Our team arrived and placed the roll off dumpster in the location. The construction team was able to dispose of all of the bathroom remodel safely in the dumpster, which was the perfect size. Old bathroom equipment can be a hassle, but the customer remarked that dealing with Oak Ridge Waste Systems for the rental was easy as could be. Most importantly it did not hold up his construction process for even a minute, which was very important to the customer. Oak Ridge Waste Systems offers our customers with a variety of roll off dumpster sizes in Bridgeport, so our customers won’t pay for a dumpster size that they will not need. The important thing is we provide our customers with a dumpster that will meet and exceed their expectations, and that is why Oak Ridge Waste Systems is the roll off dumpster specialists that homeowners can depend upon for all their remodeling needs. A retired cop had developed arthritis, which was beginning to significantly affect his life. He wasn’t able to do simple things in life that he used to do. His daughter was at his home the other day, and noticed her father was really struggling with his recycling. She noticed that he was separating all his recycling when he didn’t need to, because she knew there was a service offered called single stream recycling. This service would allow him to put all the recyclables in one container. and the trash company would take care of the sorting later. He had never heard of this before, but immediately decided he really needed to switch to single stream recycling, so he called Winter Bros. Waste Systems for the best waste disposal in Bridgeport. He was so glad that he could get his garbage collected on time while also having single stream recycling service, which took the strain off his hand. The retired police officer’s daughter came over a few weeks later to see her dad, and found him lounging in the backyard drinking iced tea. She asked him what he was doing, and he told her he was just relaxing and enjoying himself. He said his life is so much easier since he had contacted Winter Bros. Waste Systems for his waste disposal in Bridgeport. He don’t have to worry about separating, lifting, or anything strenuous that would affect his joints. He thanked his daughter for suggesting the single stream recycling, because it has been a wonderful service! check back for updates on all our work doing recycling in Bridgeport, CT!